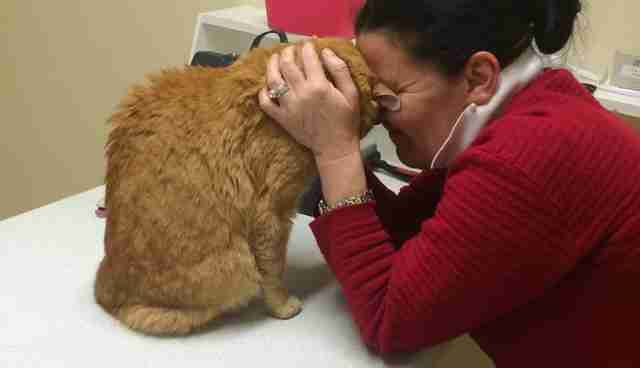 For all his life, George, an 11-year-old orange cat, had only known love. He and his owner, Fiona, lived in Sydney, Australia, together - but all that changed in March of this year, when Fiona became ill.
As a result, Fiona had to travel back home to Ireland, but was unable to take George with her at the time and decided to leave him with a neighbor. Fiona planned on returning to Sydney as soon as she recovered - but her health issues were more pressing than she realized, and so she had to remain in Ireland. Meanwhile, George remained in Australia, with no idea why his mom had left him or when she would return to him. Fiona thought that even if she couldn't be with George just yet, at the very least, he was fed and sheltered. Soon, she found out that was far from the case. "A couple of months ago, [Fiona's] neighbors moved away and left poor George to fend for himself," Sara Daly, a friend of Fiona's, wrote on George's GoFundMe page. Whether he was dumped or had managed to escape from his foster home before they left, George was later found 12 miles away from the only neighborhood he ever knew. 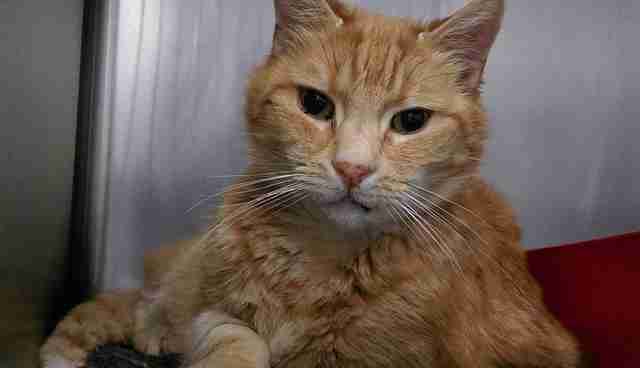 It's unknown how long he wandered or the difficulties he encountered as a senior house cat suddenly left on his own - but luckily for him, he was rescued from the streets by kind strangers and taken to a local animal shelter. Since George was microchipped, Fiona was notified about where and how he'd been found. Naturally, she wanted him back - but didn't have the funds needed to ship him from from Australia to Ireland. With time running out before he'd be put up for adoption after being admitted to an animal hospital, Fiona's friends got involved. 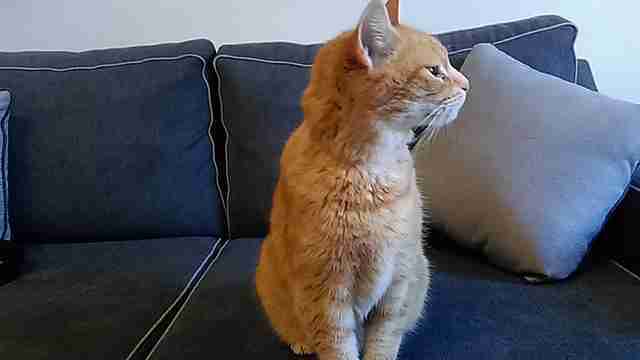 "In late July two friends of the cat's owner, Fiona, Cait Commins and Sara Daly, came into my office," Ronan Cahill, a web developer in Fiona's Irish town of Athenry, told The Dodo. "They explained about George and that they'd just come from the bank after opening a bank account to raise money for him." Cahill joined their fundraising efforts and created a Facebook page with a linked GoFundMe account to help spread the word about George and Fiona's plight. In just four weeks, friends, family and strangers came together to raise the amount needed to get George on a plane - and finally back in Fiona's arms. "He was very poorly; he had been fending for himself for a long time," Cahill said. 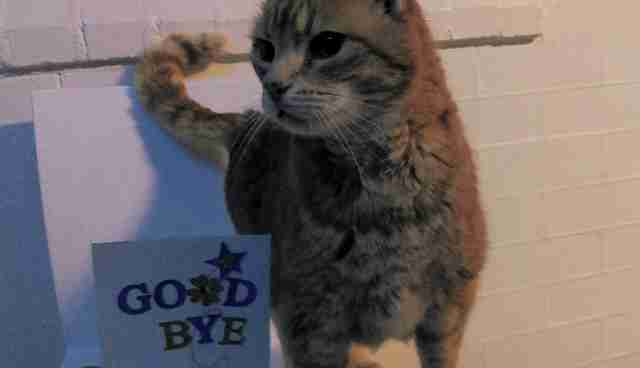 "The animal hospital took great care of him though and when he got home, he was in top condition. We were amazed." Cahill added that George recognized Fiona immediately, and the photos of the two together after being separated for so long tell just how much they missed one another. "She said it was one of the best days of her life to be reunited with the friend she never thought she'd meet again," Cahill told local news outlet Independent.ie. "She had been sick, but feels like life has completely turned around now that she has her baby back. It's unbelievable, she thought her friends were joking and didn't believe it was possible. She is completely overwhelmed." 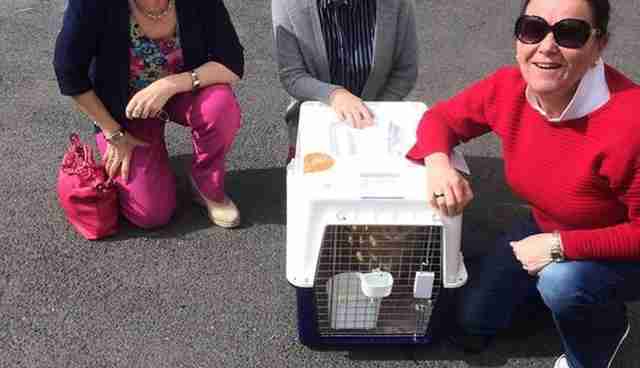 The funds left over after George's trip were donated to Galway Cat Rescue. As for George - he's been purring nonstop since he landed. "He's been pampered an awful lot and has settled in incredibly well," Cahill told The Dodo. 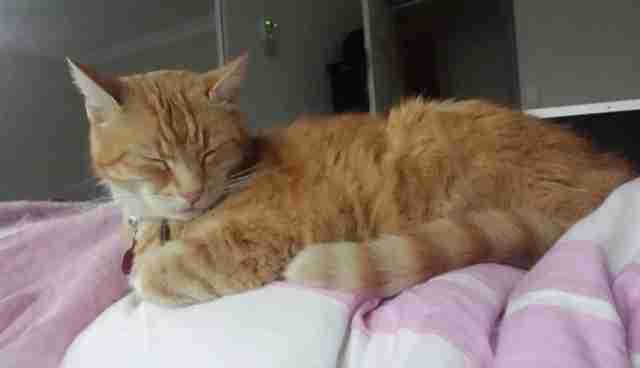 "He's a house cat so is happy to be back indoors again."